Visioffice is a piece of optical technology that is the first and only universal measuring system allowing you to obtain every possible parameter needed for today’s individualized lenses. Full face 3D images are created using this optical imaging technology and provide the most accurate eye-lens positioning and visual behavior calculations. 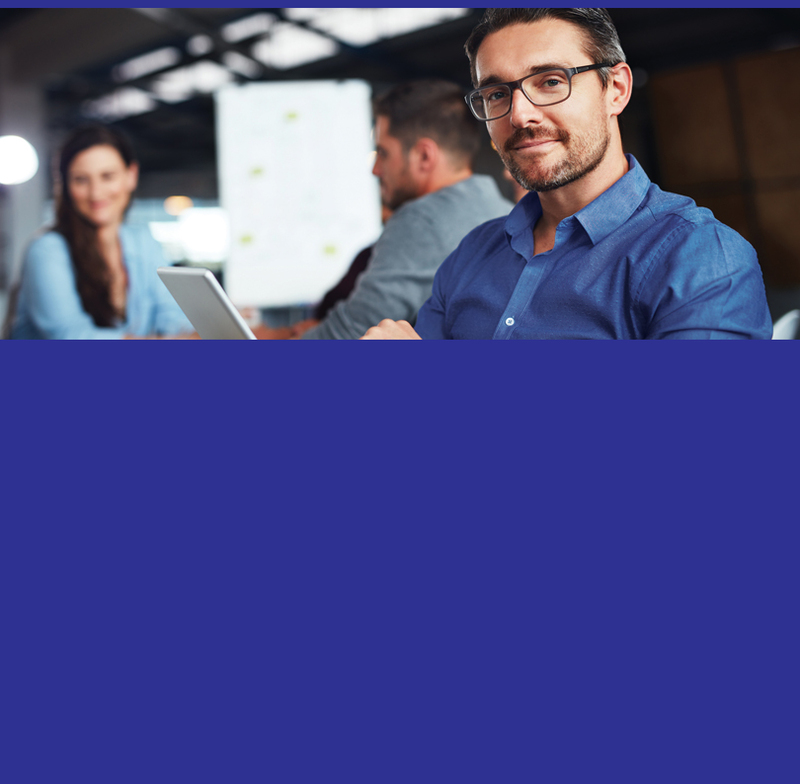 Visioffice is a great help with frame selection and assists with explaining lens features and benefits as well as eye conditions in an impressive way that instills a lot of confidence in our patients. We at Accent Eye Care can dispense lenses made specifically and uniquely for you, measuring whether you tend to move you head or eyes more while taking into account your posture. The end result is that we can provide you lenses with an optimum look, performance, and clarity. Transitions now introduces optical lens technology with variable polarization that increases and decreases as the lenses darken and lighten. Polarization is the best for sunglasses lenses because it filters out scattered glare. Accent Eye Care is proud to offer Transitions® Vantage™ lenses to help control glare and light scatter by both darkening and increasing polarization in the presence of UV light. In a recent Independent Wearer Survey, patients said they loved new Transitions® Vantage™ lenses – especially those who already wore photochromic lenses, or lenses that darken with UV exposure. Dynamic 3D measurement is another type of optical imaging technology, allowing for an individual diagnosis of your eyes. Based on the position of your eye rotation center, the true reference for lens calculation and fitting, this precious data is known as the “eyecode”. Several clinical studies showed that the length of an eye can vary over 30%. Huge dispersions are noticed even for the same ametropia value. For the first time, thanks to Eyecode, rather than using nominal values, your optician uses your real personal 3D measurements. The dynamic 3D measurements is taken in store by your optician with the cutting-edge patented device: Visioffice. It is quick and extremely precise. What is aniseikonia and why should anyone care? There are two types of aniseikonia – static aniseikonia, in which the size of an image is different in each eye, and dynamic aniseikonia, in which the eyes are forced to track vertically and laterally at different rates. 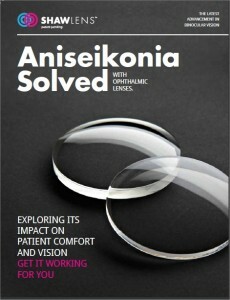 The SHAW™ lens is designed specifically to solve aniseikonia. The SHAW lens offers a different approach to lens design. This patent-pending method solves aniseikonia through sophisticated lens design software that models the physiology of how the individual patient’s eyes work in tandem – i.e., how the left eye moves in relation to the right eye in lateral (side to side) and vertical gaze. This is done using additional advanced measurement made by the optometrist, including motor fusion limits, position of wear and frame metrics. 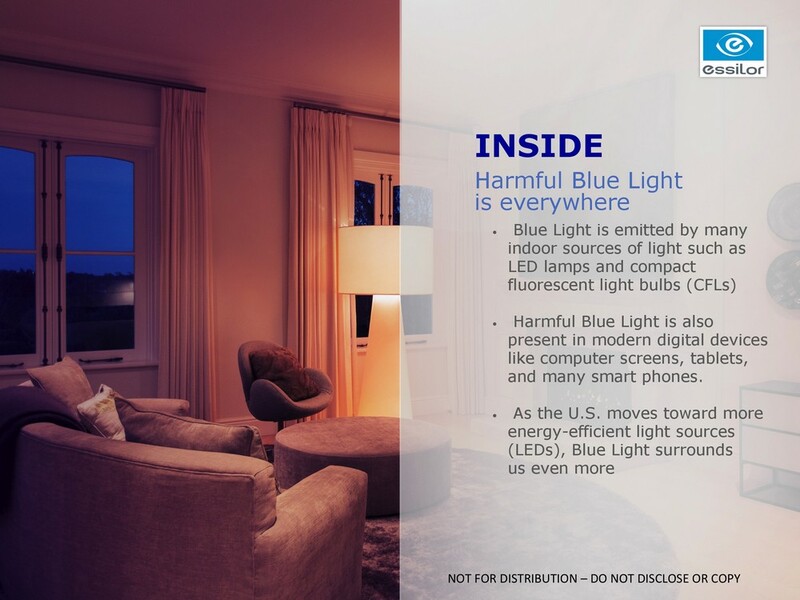 Blue light is emitted from common electronic devices like iPads, LED televisions, smart phones, computer screens and fluorescent bulbs. 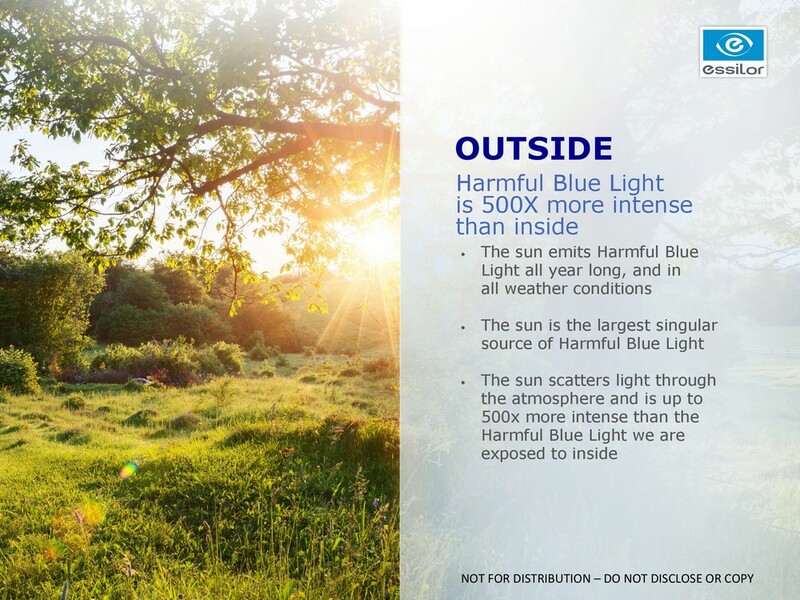 Recent studies have shown a link between blue light exposure and retinal damage, leading to macular degeneration. Studies have also shown a correlation between blue light exposure and disruption of a person’s sleep cycle, known as their “circadian rhythm.” Disruptions in the circadian rhythm decreases production of melatonin, which is associated with an increased risk of cancer. Circadian disruption also raises blood sugar and decreases leptin (a hunger control hormone), potentially leading to diabetes and obesity, respectively. 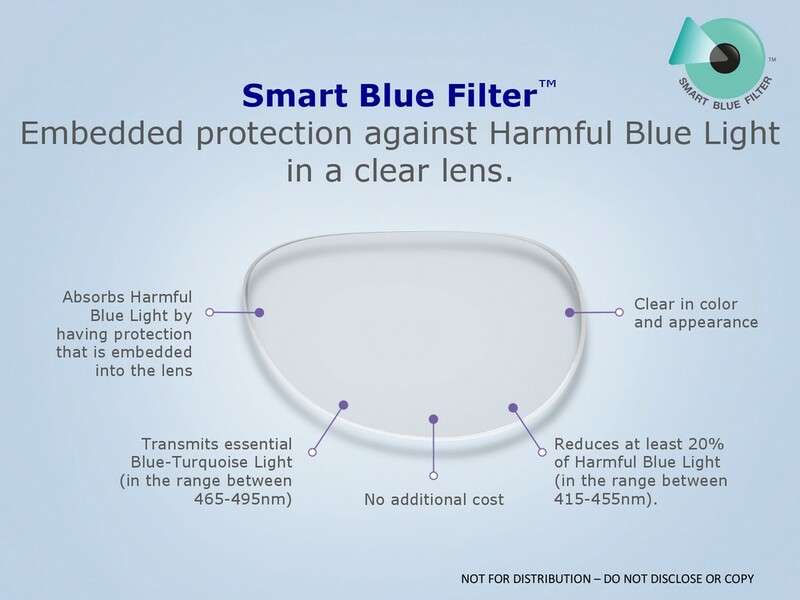 A simple solution to protect your eyes from blue light absorption is a new advanced lens technology called BluTech. BluTech lenses have a filter applied to the lens surface, blocking blue light without compromising contrast and color discrimination. These lenses are essential for prevention of retinal damage in patients of all ages, especially in patients who have had cataract surgery. Many of the implanted lenses used in cataract surgery contain UV protection but lack protection in the blue wavelength spectrum. BluTech is available in a wide range of prescriptions and types of lenses, such as progressive, bifocal, single vision, and sunglasses. Every day, we encounter gorgeous views, wonderful scenes and special moments. How better to enjoy this beauty than in the best color possible? That’s what Kodak Lenses provide you – the richest, most vibrant colors imaginable, with fine detail that’s amazingly sharp and crisp. Find the right Kodak Lens solution for you by exploring the variety of Kodak Lens options available below. 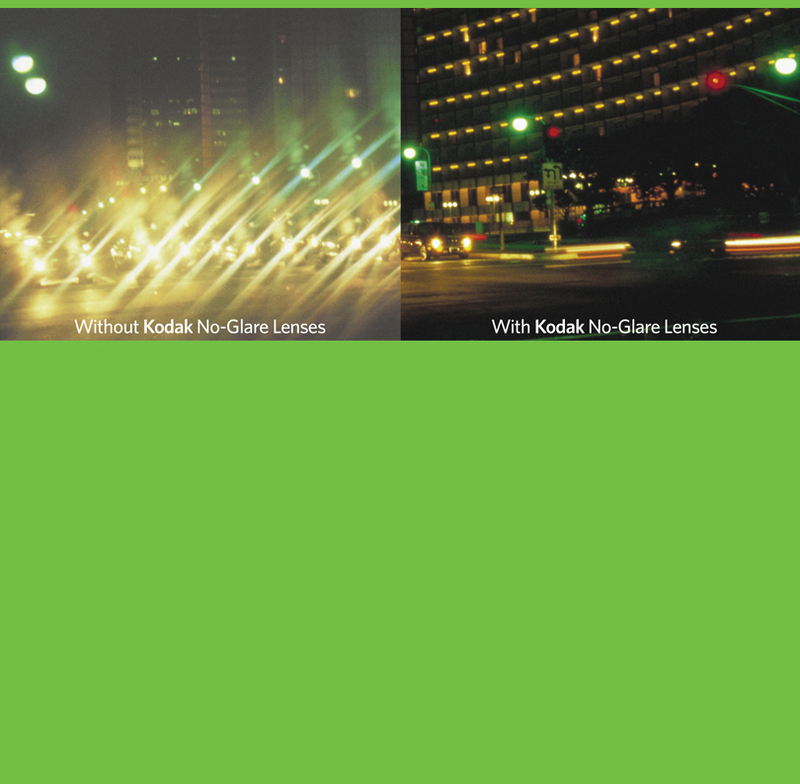 Ask us about the benefits of Kodak Lenses today! We rely on prescription eyewear to restore our distance, near and intermediate vision. 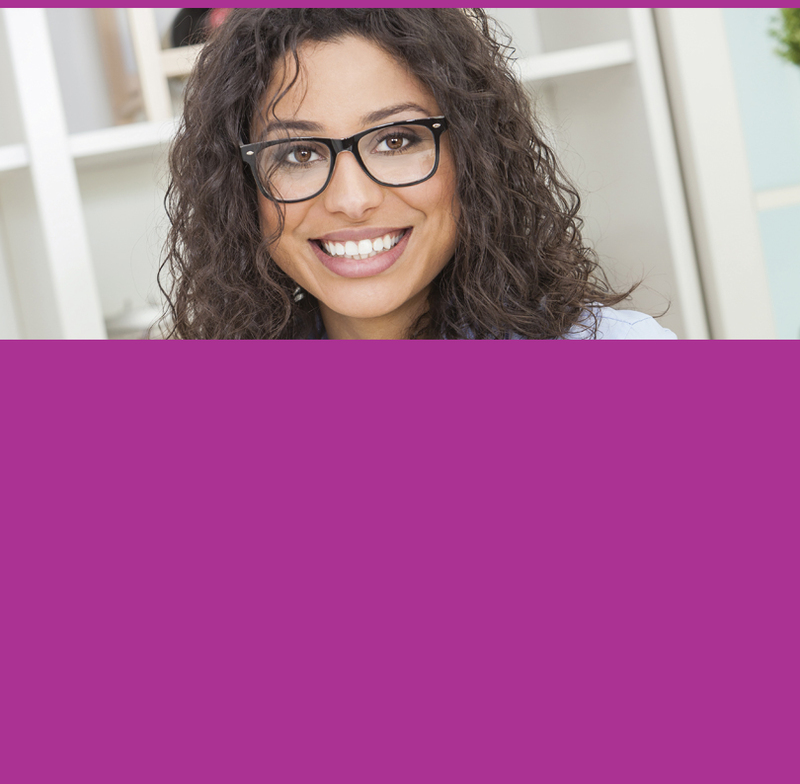 The goal in progressive lens design is to provide sharp, clear vision for all distances. 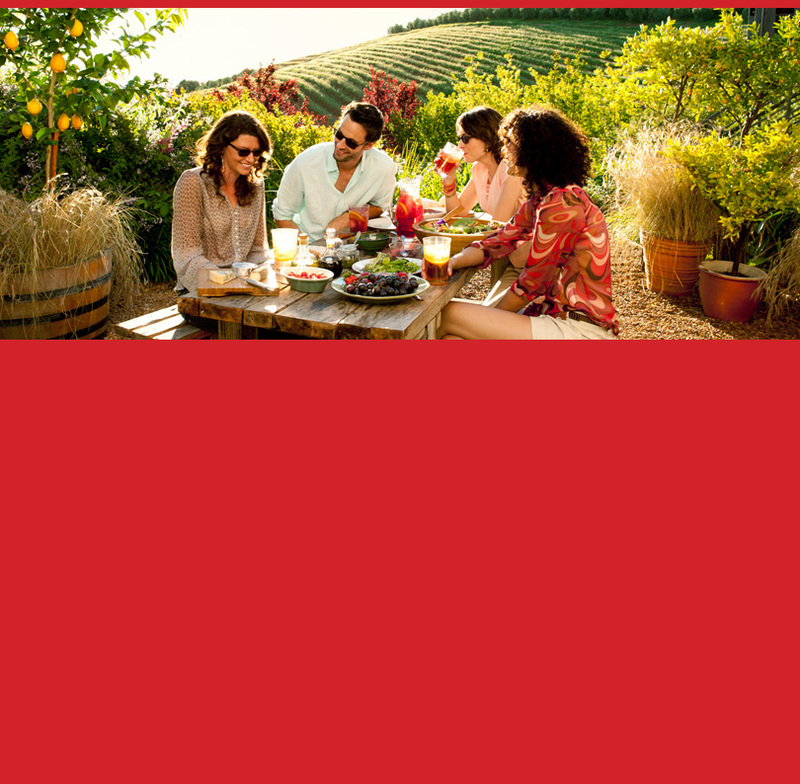 vision possible and are available with options for virtually any lifestyle. Lenses enable approximately 99% of available light to reach the eyes for clear, crisp vision. 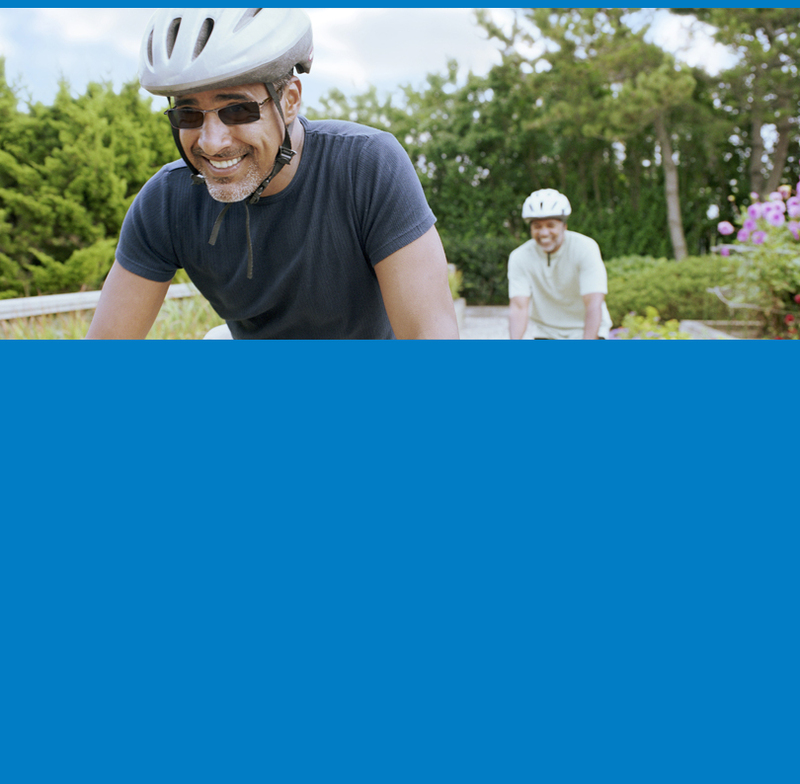 Kodak Transitions Lenses are one of the best everyday lenses for active lifestyles. 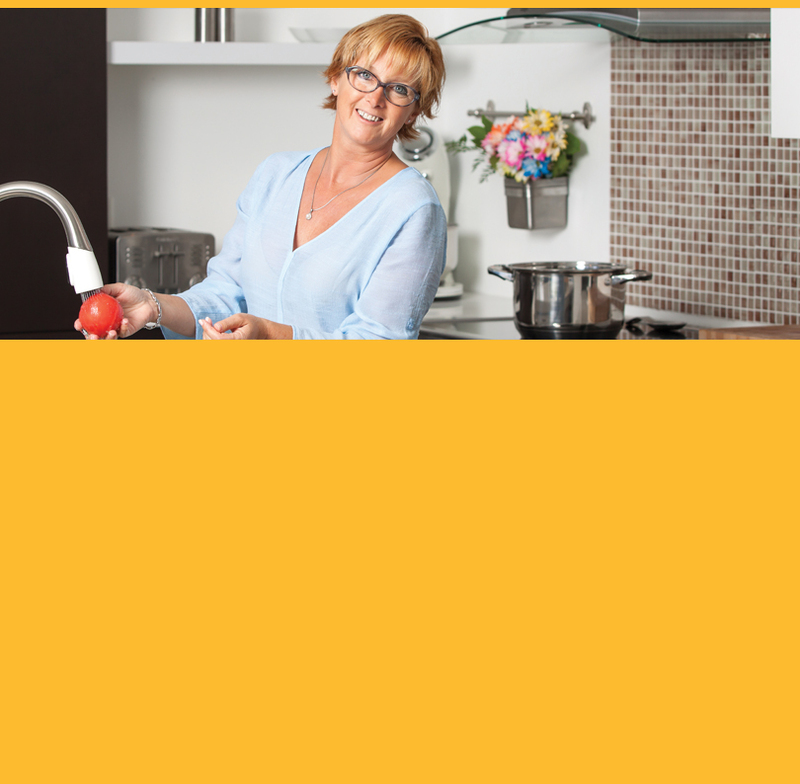 Kodak Transitions Lenses helps reduce eye strain and fatigue. for a total eyewear solution that does it all. are always tinted. Additionally, you can wear polarized lenses in a wide selection of frames. fishing, sailing or even reading by the pool.